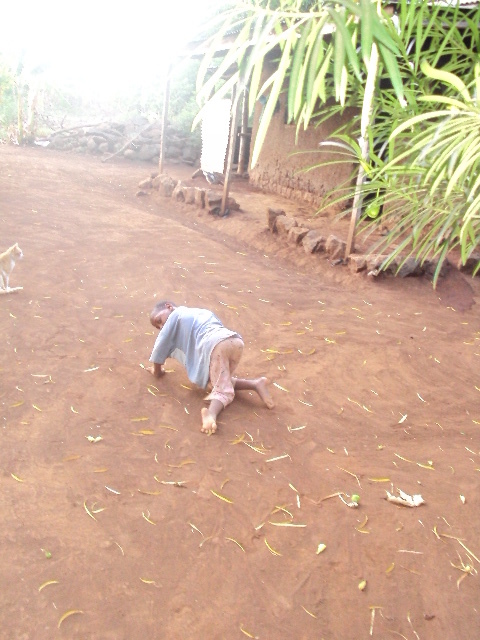 Samuel Mushi, a boy from maili sita Moshi was born with disability 7 years ago. He attended to rehabilitation service for only one week when he was two years old. Due to the lack of bus fare, Samuel failed to continue with rehabilitation until when we recentily idenitify him and took him to CCBRT Moshi to start rehabilitation. 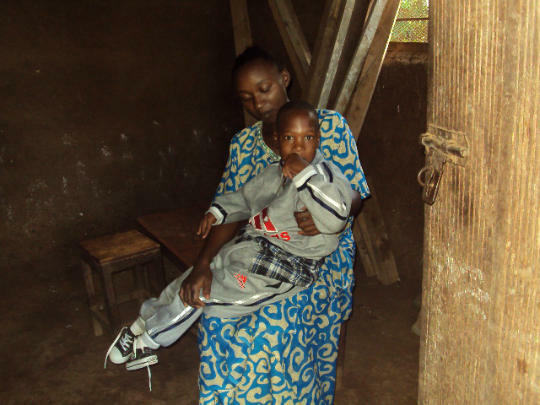 Due to the lack of rehabilitation services, Samuel developed severe deformities in his both legs and he needed a special wheelchair supportive seat. This is how we found Samuel crowling. Mother (six months pregnant) carrying Samwel. 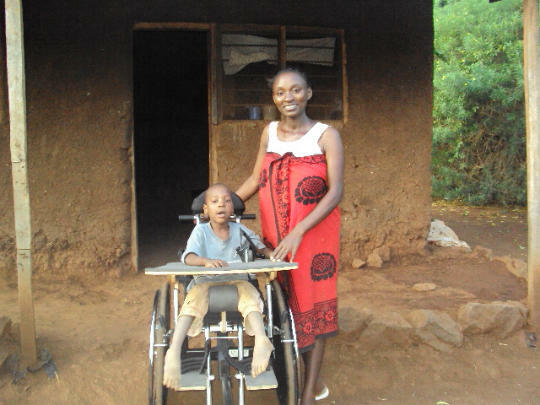 New wheechair, new lifer for Samuel and his mother. good work,whre can we get more wheel chairs like that one i ave been receving from www.freewheelchairmission.org from u.s.a but their not good like this one am ready to pay coast needed i need a full container so that i can distribute to dissabled student all over the country.